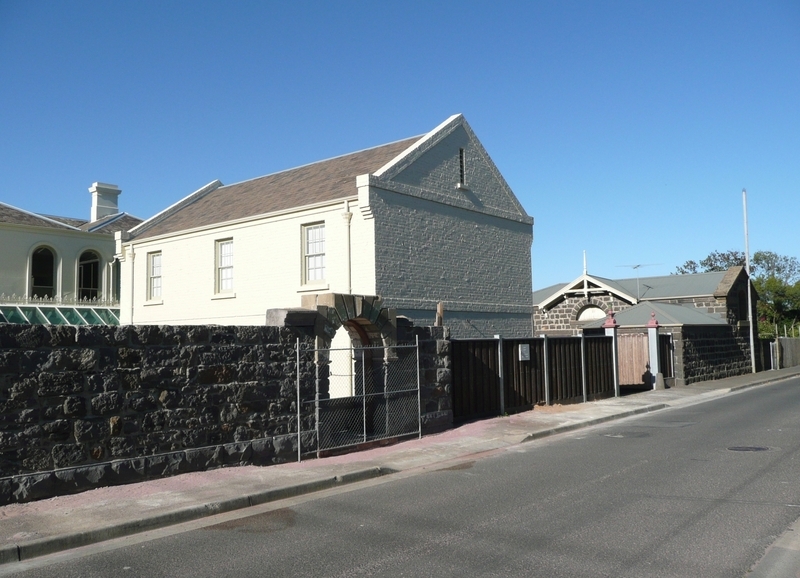 Rannoch House was constructed in stages with the first part being a two storey Barrabool sandstone building with single storey western wing commenced in 1851 and 1852 for Captain Francis Ormond. It was designed by early Geelong architects Walter Sheridan and George Wright. This building operated as Henry Deering's Royal Museum Hotel in 1854, becoming Lisdou House in 1855, a school for "young ladies" run by Misses Greer. The eastern wing and conservatory were designed by Jacob Pitman and constructed in 1863 for A S Robertson. 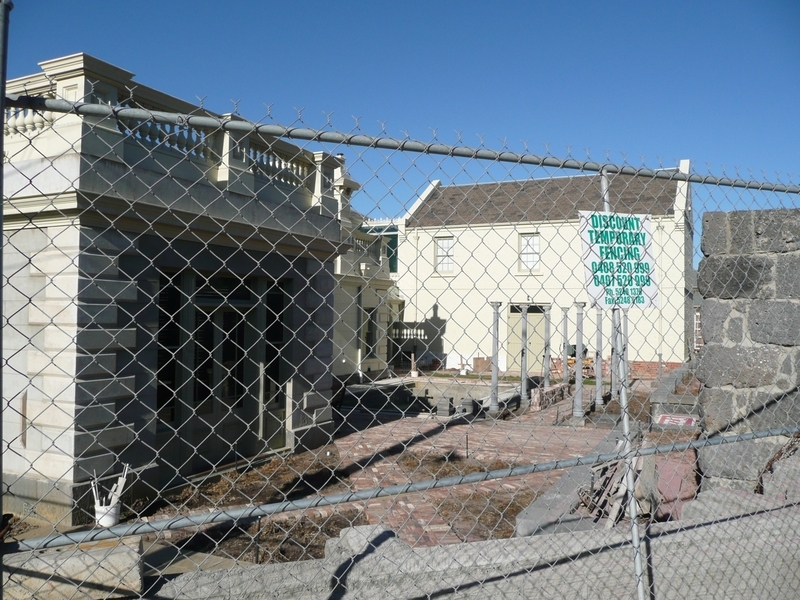 The Renaissance Revival appearance of the building may also date from this time. Alexander Miller, benefactor, owned Rannoch House from 1882 until at least 1906 and lived there for some of that time. John Rout Hopkins, grazier of Wormbete, also lived at Rannoch House from 1889 for a period of time. During this century the house was occupied for a number of years by the Church of England Girls Grammar school, and was later divided into a number of flats. 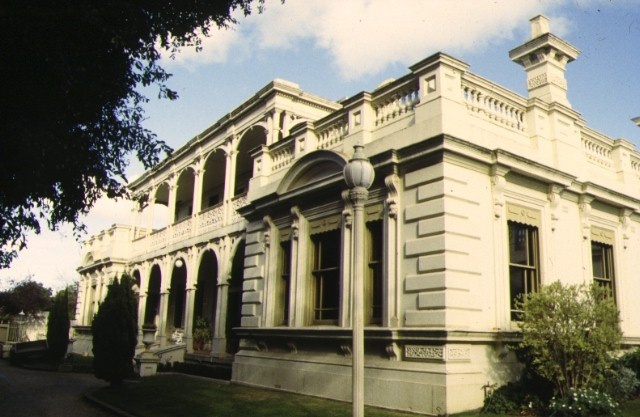 Rannoch House is of architectural and historic significance to the State of Victoria. Rannoch House is architecturally important as an extraordinary example of a Renaissance Revival town house, complete with balustraded parapets and timber loggia. The conservatory with its Ionic pilasters is particularly notable and reinforces the Renaissance Revival character of the building. Rannoch House is important for demonstrating a sequence of styles, from the original simple Georgian two storey building with single storey western wing, to the 1863 additions creating a town house of Palladian form with Renaissance Revival detailing. Rannoch House is also important as an extraordinary example of architects' work from two periods. The central two storey section of Rannoch House and the single storey western wing comprise the only identified extant work of early Geelong architects Walter Sheridan and George Wright. The 1863 additions including the conservatory form an extraordinary example of the work of Jacob Pitman. Rannoch House is historically important for its associations with the well known English and Australian actor/theatre manager Henry Deering who planned entertainment from Shakespearian plays to acrobatics for the people of Geelong in the mid nineteenth century. Rannoch House is also important for its associations with notable pioneers and pastoralists Captain Francis Ormond, the Hon Francis Ormond, A S Robertson and J R Hopkins. It is also important for its association with the benefactor Alexander Miller. 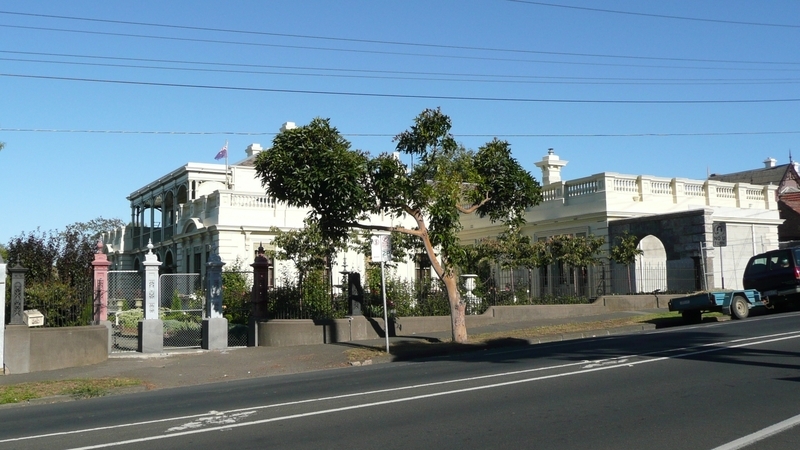 The design of Rannoch House can be attributed to noted Geelong architects Backhouse and Reynolds and was constructed in 1855-58 as a renaissance revival two storey stuccoed masonry residence with an ornate arcuated timber verandah and loggia. AS Robertson wealthy pastoralist and formerly of Burnside at Murgheboluc was the first owner. Jacob Pitman architect of Geelong designed the single storey conservative classical style wings to the central pavilion of 1858 in 1863. The finely detailed stables by Backhouse and Reynolds to the rear of the house were erected of squared coursed basalt in 1858. 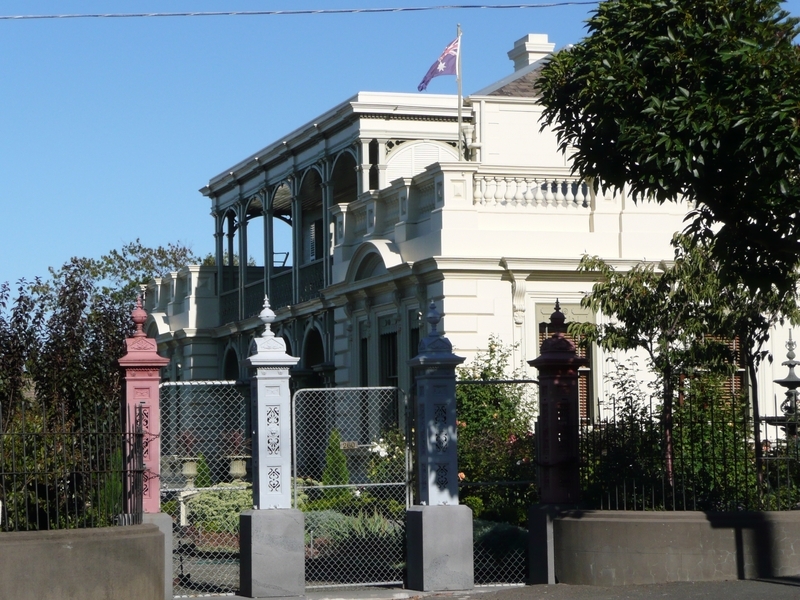 At the time of completion in 1863 Rannoch House was one of the finest and most substantial town houses in Victoria. Rannoch House, 260 Pakingtonr Street, Newtown, City of Greater Geelong. 1. All the buildings known as Rannoch House comprising the main house marked B-1 and the former stables marked B-2 on Plan 6000437 endorsed by the Chair, Historic Buildings Council and held by the Director, Historic Buildings Council. 2. All of the land described in Certificate of Title Volume 10033 Folio 502, marked -L1 on Plan 6000437 endorsed by the Chair, Historic Buildings Council and held by the Director, Historic Buildings Council. Removal of existing carpets / flexible floor coverings eg. vinyl. Installation of curtain track, rod, blinds. Refurbishment of bathrooms, toilets, kitchens. Refurbishment of bathroom /toilet /en suite including removal of existing sanitary fixtures and associated piping, mirrors, and wall and floor coverings, and installation of new fixtures, and wall and floor coverings . Demolition of the stables block, as approved in the Planning Permit granted by the City of Greater Geelong- Planning Permit No 457/95 (Property No.96.620) dated 24 May 1995. 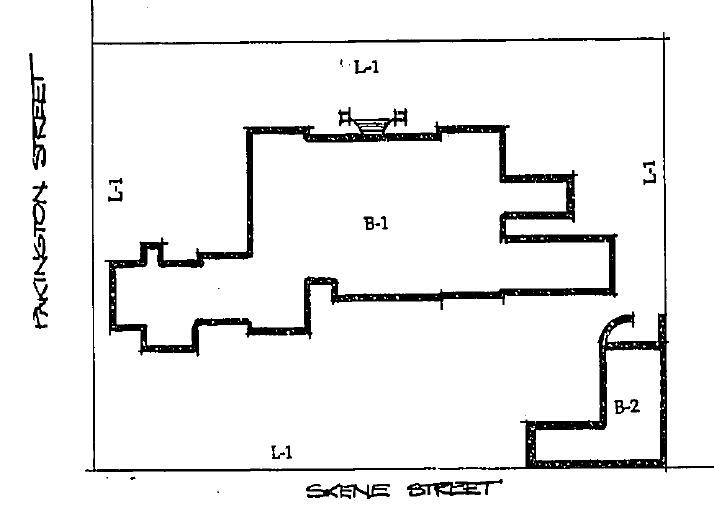 Construction of a new garage at the rear of the property as approved in the Planning Permit granted by the City of Greater Geelong- Planning Permit No 457/95 (Property No.96.620) dated 24 May 1995.